The information about the Keynote Speakers of EDUINNOV2019 is as follows, which will be updated regularly. 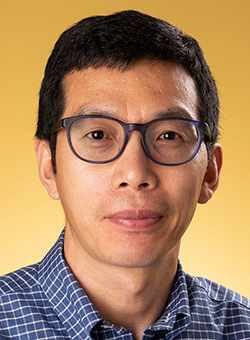 Biography: Dr. Lei Li is a professor, director of the Master’s Science in Information Technology (MSIT) program, and Assistant Department Chair of Information Technology at Kennesaw State University. Dr. Li received his Ph.D. in Computer Information Systems from Georgia State University. His current research interests include social media data analytics, information security, web information management and IT education. Dr. Li has published over 40 peer-reviewed papers and his work has appeared in IEEE Access, Journal of Systems and Software, Journal of Information Systems Education, Journal of Universal Computer Science, Journal of Management Information and Decision Science, and various IEEE and ACM conferences. Topic: Building a Successful Master’s Program in the Digital Era: Challenges, Opportunities, and Strategies. Abstract: Universities and colleges face difficulties adapting to the fast-changing educational landscape enabled by the digital revolutions in the last a few decades. This talk discusses the challenges, opportunities, and strategies in building a successful Masters’ program in the digital age. Using the Master’s Science in Information Technology (MSIT) at Kennesaw State University as an example, the author shares his experience on how MSIT program has became the largest Master program in the university and a nationally ranked program by the US News and World Reports in ten years. The topics includes marketing and recruitment, curriculum development, accreditation and program assessment, and resource management. Biography: Dr. John Clayton, Professor, is an internationally recognized Technical and Vocational Education and Training researcher with extensive experience in quality assurance frameworks. 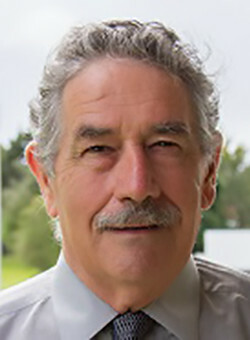 He has been involved in the Sino-NZ Model Programme since 2013 and developed the academic processes used in the design of internationally aligned learning activities, assessments and qualifications and has been co-chair of the six Sino-NZ Research Forums held. He has facilitated training in curriculum accreditation in Saudi Arabia, Indonesia, Thailand, Laos, Japan and China. He has been appointed as a Distinguished Professor at Tianjin City Vocational College and is co-developing a quality teaching evaluation framework with staff in that institution. He has implemented micro-credentialing platforms, to validate continuous learning, for the Fertilizer Agency, New Zealand and for the Geothermal Division, Chevron, Indonesia. He has been an invited speaker at conferences in Laos, China, Japan, Saudi Arabia and New Zealand. He has published widely, over 200 recognised outputs, including, New Zealand Government funded reports, New Zealand and China government funded reports, books, journal articles and conference proceedings. Abstract: In teaching-learning participants expend physical and mental effort. The mental effort expended is described as cognitive load (CL). Cognitive Load Theory (CLT) builds upon sub-systems of human memory that include sensory memory (SM), working memory (WM) and long-term memory (LTM). Learning starts with input-stimuli received by SM and transferred to WM. In WM individual mental representations-schemas are used to compare, organize, classify and comprehend. After processing new schemata are generated and/or existing schemata are modified, encoded in WM then stored in LTM. CLT theorists argue the critical component for learning/understanding is WM capacity. Three types of load impact WM capacity: intrinsic load IL (performing essential aspects of the task), extraneous load EL (non-essential aspects of the task) and germane load GL (the deliberate selection of cognitive strategies to facilitate learning). The three types are additive – that is, IL + EL + GL = total cognitive load TGL. If TGL exceeds WM capacity cognitive overload occurs, performance declines, learning is impaired, and time-on-task deteriorates. TGL is especially relevant to TVET learning design frameworks as the complex activities undertaken, the information absorbed, the evidence generated require the simultaneous integration of multiple sets of knowledge, skills and attitudes within a defined context and time-frame. The complexity of activities, if not well sequenced and structured will lead to cognitive overload. This presentation will focus on learning design approaches used to lower intrinsic load, decrease extraneous load and activate germane load. 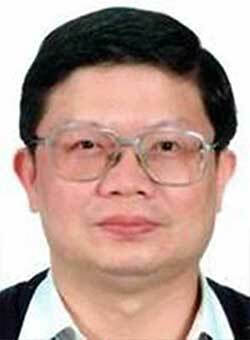 Biography: Dr. Syh-Jong Jang is a Distinguished Professor at Asia University in Taiwan. He received his PhD in Science Education from the University of Texas at Austin, USA. He served associate dean of International College and the director at Center Of Cross-Strait Academic Exchange, Asia University. He also served the co-chair and member of science education research in MOST, Taiwan. He was a visiting Professor at the University of Georgia, USA, and Shaanxi Normal University, China. His research expertise is information technologies and TPACK from pre-service and in-service teacher level. He has published a lot SSCI-index research papers which focus on technology in teacher education and innovative science teaching in all levels. These published Journals includee Computers in Human Behavior, Computers & Education, BJET, AJET, Educational Research, Higher Education, International Journal of Science Education, Journal of Computer Assisted Learning, etc. He also grants many research projects from Ministry of Science and Technology, Taiwan. Abstract: The university promotes a so-called “four-creative campus”, with emphasis on creativity, innovation, creation and entrepreneurship. Creative teachers provide students with innovative teaching or teaching materials and instruct students to become creative, to cultivate students’ entrepreneurial abilities. In the new century, university teachers should keep pace with the times, learn how to engage in “innovative teaching”, strive for excellence, and improve quality. Innovative teaching plays an important part in students’ active learning and participation. Flipped learning is considered to be a form of innovative teaching has been in the spotlight in college education for a few years. The flipped learning model is an innovative and fashionable instructional development in educational technology, particularly in terms of the way that technology relates to higher education. In these learner-centered learning environments, university teachers maximize the classroom time to guide students in solving problems, to provide differentiated instruction, and to provide students with an environment where abundant social interaction can occur. Biography: Dr. Syed Abdul Rehman Khan is a professor of Supply Chain and Logistic Management. Prof. Khan achieved his CSCP—Certified Supply Chain Professional certificate and successfully completed his Doctorate Degree. Since 2014 and 2015, Prof. Khan is affiliated with Chang’an University, China and Brasi School of Supply Chain Management, USA respectively. Dr. Khan has more than seven years’ core experience of supply chain and logistics at industry and academic levels. Prof. Khan has attended several international conferences in Dubai, Pakistan, Taiwan, and China, US, Netherland and has also been invited as guest speaker, keynote speaker and conference committee member. He has published 2 books on “Global Sourcing” and “Strategic Supply Chain Management” respectively and published more than 22 research papers including 6 SCI indexed Research Papers, 13 EI indexed Research Papers in different well renowned international journals and conferences. He is a regular contributor to conferences and workshops around the world. 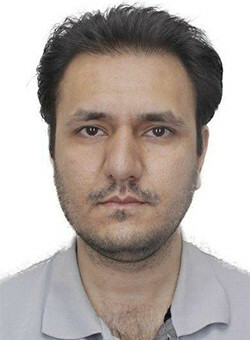 Dr. Khan also holds Editorial Membership of two international journals. In addition, Prof. Khan holds memberships in the following well renowned institutions and supply chain bodies/associations: APCIS-U.S.; Supply Chain Council U.S.; Supply Chain Association of Pakistan; USA Council of Supply Chain Management Professionals; and Global Supply Chain Council China. Abstract: Background: This study is for examining the association between green logistics, energy demand, renewable energy consumptions, environmental performance and sustainable economic development in a panel of nineteen developed economies around the globe over the period from 2008 - 2017. In addition, the article expands domain of green logistics from firm level to country level and also connects national scale economic indicators with green logistical performance. Conclusion: This article provides the insight of the association between green logistics performance and national scale economic and environmental indicators. In addition, this research will help practitioners, senior managers and policymaker to understand the importance of renewable energy and green practices in logistical operations. © Copyright 2015-2019 4th International Conference on Education and Innovation - All rights reserved.